There have been a couple of notable signals about the upcoming EU referendum lately. A public opinion poll showed a clear majority lead for Brexit, then a Financial Times poll of more than 100 leading economists concluded that a vote to leave would damage UK growth. However, while the arguments for and against are still shaping up, everyone appears to be ignoring how the credit-ratings agencies would respond to Brexit. This is surprising. Only recently, credit-rating agency Standard & Poor’s fired a warning shot, saying that the UK would be downgraded one notch on leaving, and this could double if relations with Brussels soured. And unlike Standard & Poor’s, the other two main credit-ratings agencies, Moody’s and Fitch, have already stripped Britain of its precious AAA rating – the highest possible. If all three downgraded Britain after a Brexit, the road back to AAA status would be even harder. Whether or not one agrees with these decisions, they do matter. Sovereign credit ratings estimate the probability that a country will default on its debts. They set the tone for the borrowing costs in international markets for both the country and the financial institutions operating there. Increasing the interest rates that the country pays to borrow means less money to spend on schools, hospitals and so forth. Downgrades also weaken the share prices of banks that are expected to receive stronger support from their governments – particularly in advanced economies. 1. An increase in annual GDP growth by one percentage point improves a country’s rating by about one-tenth of a notch. 2. An annual drop in general government gross debt by one percentage point of GDP justifies about one-tenth of a notch upgrade. 3. An annual drop in government deficit by one percentage point of GDP justifies about one-tenth of a notch upgrade. 4. EU membership enjoys a “premium” of as much as two notches. It improves a country’s financial credibility, since its economic policy is restricted and monitored by other member states; and it provides enormous economic benefits as it offers free trade access to a population of around 503m. 5. Last but not least, Moody’s matters more than Standard & Poor’s because investors value more of its decisions (Fitch was not examined). What do these mean in the case of the UK? According to the latest estimates of the UK’s Office for Budgetary Responsibility, the country’s economy is expected to have grown at a rate of 2.4% per annum in 2015 and is expected to achieve the same rate in 2016. Thanks to the government’s cuts, general government gross debt is expected to drop by some 0.4 percentage points of GDP (from 87.5% in 2014-15 to 87.1% in 2015-16). The deficit is also projected to drop by 1.2 percentage points of GDP (from 5.1% in 2014-15 to 3.9% in 2015-16). Taken together, the slight debt and deficit “improvements” justify roughly two-tenths of a notch upgrade. 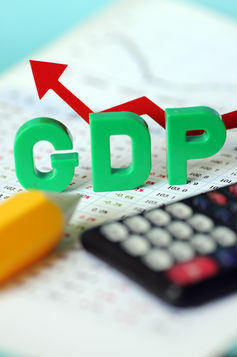 In addition, the fact that GDP is not expected to gain momentum means it will not offer any contribution either. This is not sufficient to offset a potential downgrade by (up) to two notches if British voters decide to vote against staying in the EU. In addition, there is an increasing risk of the economic outlook deteriorating, according on the latest speech of Bank of England governor Mark Carney. If so, we can expect less “improvement” in the debt and deficit, too. My feeling is that we will avoid Brexit; as such, a decision would be a “jump into the unknown”. Nevertheless, I have hopefully shown that the government’s cuts will prove powerless in counteracting a post-Brexit downgrade. In addition, since Brexit looks possible based on the latest polls, the authorities may want to be ready to respond. For instance, the Bank of England should be prepared to defend the government from rising borrowing costs by authorising additional quantitative easing in the event of a Brexit. Government officials would also want to use all diplomacy at their disposal to avoid additional tensions with our EU partners that are bound to emerge. We need to start planning for this now. Waiting until the day after the EU referendum would be far too late.